The trumpet in Funk music has its place not only in the Horn sections so often heard in this genre but also as a dynamic solo instrument. This book contains 92 riifs that showcase the different ways in which the soloist can create a distinct Funk sound to their playing. 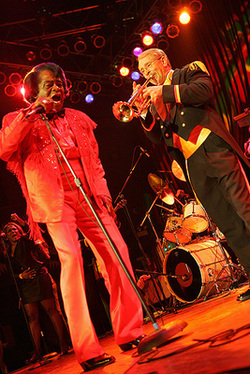 The audio CD that comes with the book contains 31 different grooves that accompany each of the riffs, influenced by the aforementioned artists, and covers a wide range of different Funk styles from the mid-sixties to the present day. The book is intended for the musician who wants to practically develop their playing style and improvisation technique in this genre. We at A.D.G. 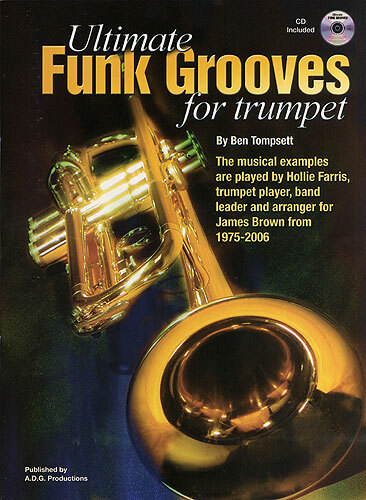 Productions are very excited to have Hollie Farris, trumpet player and arranger for James Brown for over 20 years record all the music examples.